← Jake’s got his sunnies on!! How could I forgot to put this pic up! 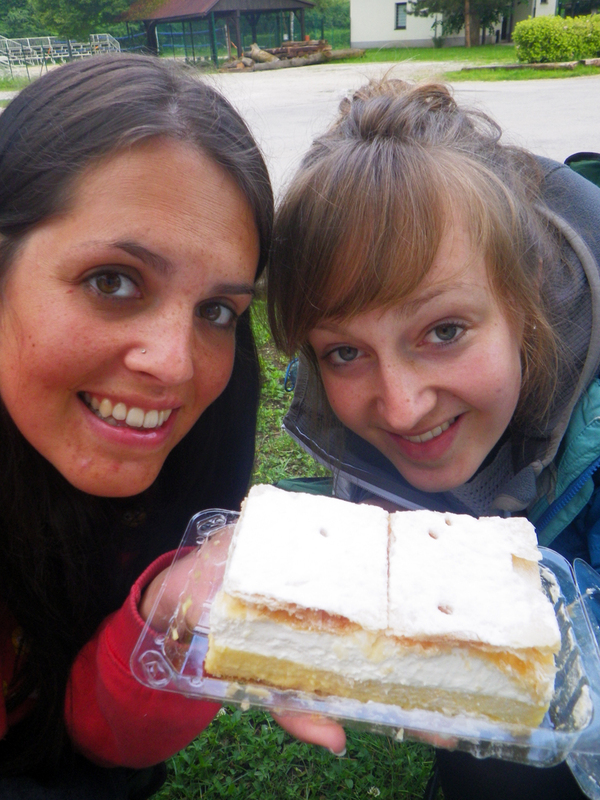 Hats and myself enjoying the amazingly tasty Lake Bled vanilla cream cake, we walked right around the lake with Jake to get this, so didn’t feel too guilty when we ate it-very yum scrum!! !